Please select a date of play to check availability on Campo Real. 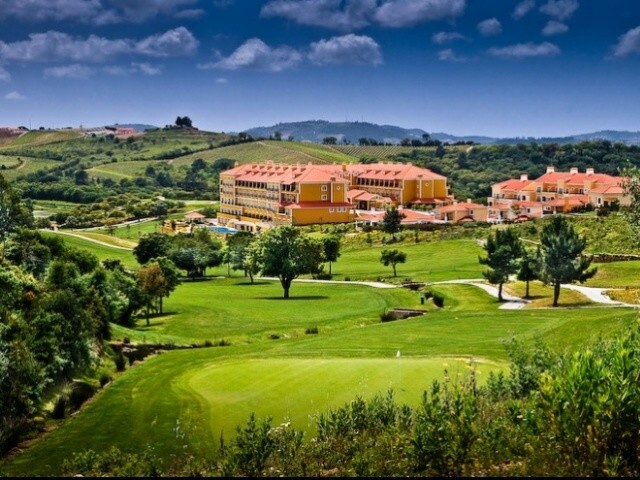 The Campo Real golf course is located to the north of Lisbon and near to the town of Torres Vedras. It is about 35 minutes drive from the capital. Each successive hole on Campo Real has been thoughtfully designed by the architect Donald Steel so as to question most golfers in their choice of club and careful ball positioning. The fairways flow through wooded valleys studded with cork-oak, olive and fragrant eucalyptus trees. The course gives players attractive views at the elevated tees, but the undulating greens and uphill and downhill drives will prove a test to a golfers judgement and skill. The first hole already questions the player with a strategic lake on the front right. The next hole takes the golfer back alongside the same lake, but a stream running the length of the hole on the left requires an accurate shot. The final two holes which are both Par 5 will test the driving abilities of the player off the tee. To post a review, score or a notice on Campo Real page's or to connect with other Campo Real golfers, please log in to your account or sign up using Google or Facebook.